Aqua Kitchen and Bath Design Center is your one-stop shop for all of your kitchen remodeling needs. Anyone residing in Verona NJ can stop by at our kitchen cabinets and countertops store located near, in Wayne NJ. We sell a wide range of high-quality, all-wood kitchen cabinets, gorgeous granite countertops, and stunning quartz countertops. Our cabinet lines include Fabuwood Cabinets, Wolf Cabinets, CNC Cabinets, and Forevermark Kitchen Cabinets. 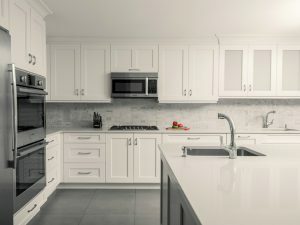 Whether you need low-priced stock kitchen cabinets or a high-end solution for your kitchen remodel with custom made kitchen cabinets, we have many beautiful options you can choose from. 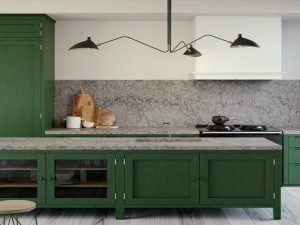 Contact us today for a free estimate and free 3D design, and tell us all about how your dream kitchen should look like. Get the kitchen you always wanted, at a reasonable price. 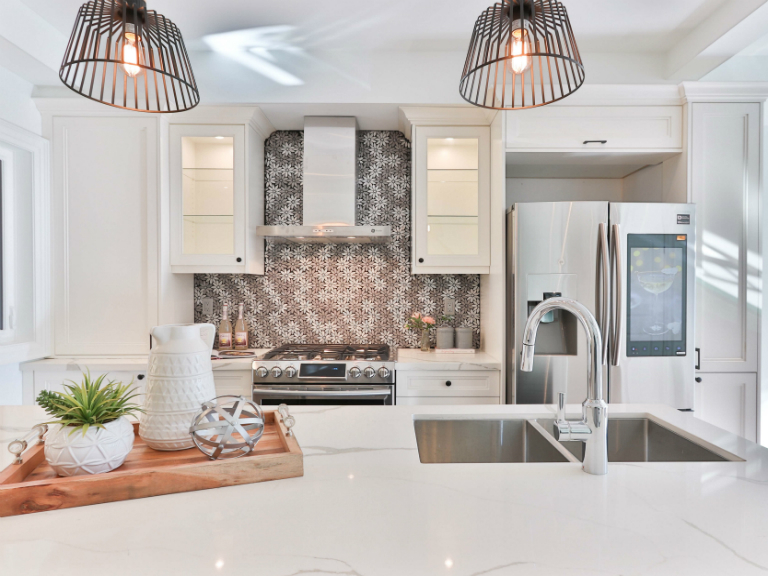 Aqua Kitchen and Bath Design Center has many years of experience in equipping and designing beautiful kitchens all over the state of New Jersey and the neighboring states as well. Our premium kitchen cabinet selections and many varieties of quartz and granite countertops made many homeowners happy. We continue doing great work at making your ideal kitchen design possible. Our showroom, conveniently located in Wayne, New Jersey features many displays, options, and solutions, to make your choice easy. Along with endless options and selections, we offer you efficient, dedicated, and personalized service, and lowest prices, guaranteed. Our kitchen cabinet lines will meet any budget and satisfy any style, whether you need stock cabinets, semi-custom, or custom kitchen cabinets. 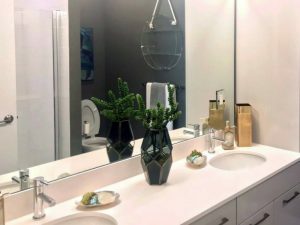 Aqua Kitchen and Bath Design Center has an impeccable reputation as a leading kitchen cabinets and countertops showroom for New Jersey, including Verona NJ, Lincoln Park, Totowa, Paterson, Little Falls, Clifton, etc. Offering high-quality installation services, fully licensed and insured, free fabrication, free templating & 3D design, we give homeowners, contractors, builders, and interior designers exactly what they need. Stop by our kitchen cabinets and countertops showroom today, meet our designers, and ask them anything you want to know. They will share their experience, expertise and knowledge with you, and help you create a kitchen space of your dreams. See for yourself why more than 100 reviews on Google, Houzz, Yelp and Facebook praise us as reliable, professional, and meticulous, with competitive pricing. Follow Fairview Ave and NJ-23 to your destination in Wayne. Use the right lane to take the ramp onto US-202 S and take the Newark Pompton Turnpike exit toward Pequannock and turn left onto the ramp. Aqua Kitchen and Bath Design Center will be on your left. 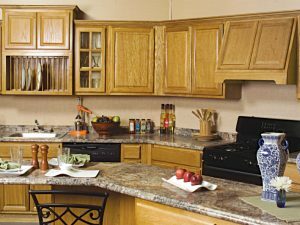 If you’re looking for the best kitchen cabinets for your Verona NJ kitchen, take a look at our superior selection of Fabuwood Cabinets. We will provide you with amazing customer service and help you design your dream kitchen with these superb cabinets. Lowest prices on Fabuwood Cabinets guaranteed. Aqua Kitchen and Bath Design Center in Wayne NJ can equip your Verona NJ kitchen with beautiful CNC Cabinets. The warmth and familiarity of Country Oak kitchen cabinets will introduce coziness and irresistible traditional feel to your Verona NJ kitchen. These solid oak cabinets bring longlasting quality. Your kitchen in Verona NJ can look gorgeous with this mid to dark grey veins and white features stone – Caesarstone Turbine Gray Quartz countertops. We offer great prices while Caesarstone gives you a lifetime guarantee on residential use. Choose from many Caesarstone colors and easily revamp your kitchen in Verona NJ. Come to our Granite Countertops Slabyard & Fabrication facility in Wayne NJ. We have 8000 sqft Indoor & Outdoor Showroom, with over 100 Granite Colors in Stock! Durable, long lasting, and easy to maintain, our beautiful granite slabs are unique, with stunning swirls and patterns, to make your design options endless. 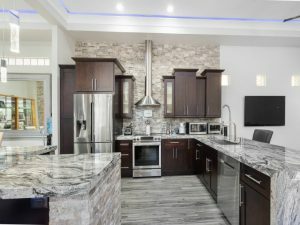 If you like the beautiful appearance of Rainforest Granite, take a look at our Rainforest Brown Granite Countertop Installation in Englewood, NJ, and see all those beautiful colors and patterns. 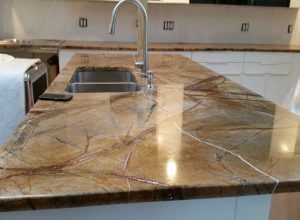 Call us today or come to our showroom in Wayne, New Jersey, to find the perfect Rainforest Brown Granite for your Verona NJ kitchen. Caesarstone Countertops Installation at Signature Place in Morris Plains, NJ, is a project where we used Caesarstone Bianco Drift Quartz and Caesarstone Blizzard Quartz Countertops for kitchen countertops and bathroom vanities. The contemporary place with high-end features and finishes. We can equip your kitchen top to bottom! 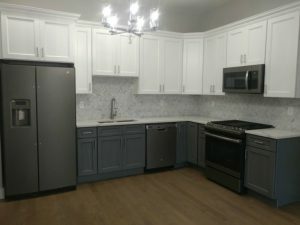 Forevermark Cabinets and MSI Quartz Installation in Jersey City is one of our latest projects where we installed beautiful Forevermark Ice White Shaker Cabinets, Forevermark Midtown Gray Shaker Cabinets, and MSI Calacatta Classic Premium Quartz Countertop. Avora Living Port Imperial Installation in Weehawken, NJ is one of our largest and most successful projects that we are very proud of. 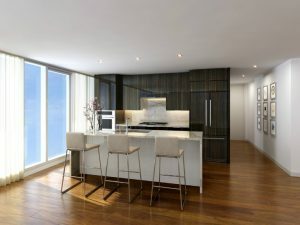 We equipped 175 kitchens in this residential building with luxurious Caesarstone quartz countertops. Take a look, and if you have a project, residential or commercial, contact us. Verona NJ is a primarily residential community but also home to factories and other commercial areas. Great place to start and raise a family, or grow your business, Verona NJ is located between the First and Second Watchung Mountains valley. The town has four elementary schools, a middle school, a high school, and a free public library. Verona NJ was listed as number 3 of 25 Great Towns by New Jersey Monthly Magazine. When in Verona NJ, make sure to visit local Verona Park, a pride of this town. This 54-acre park, a part of the Essex County Park system, was designed by the Olmstead Brothers. Take a stroll near twin lakes and over a picturesque bridge. Experience a modernized boathouse and special events like craft shows and concerts held in the park. Learn more about the borough of Verona NJ on its Official page. Verona NJ is a lovely, friendly suburban town, a warm and dynamic community in the Essex County of the New Jersey state. Take a look at the video and see why the mayor of Verona NJ recommends this beautiful town for everyone who wants to start and raise a family or start, relocate, or grow a business.